Do you have news, reviews or comments for 'Solo: A Star Wars Story'? Despite not doing well this is a great film and more Star Wars than The Last Jedi. According to Lucasfilm president Kathleen Kennedy, Star Wars movies will take a bit of a break after Episode IX. 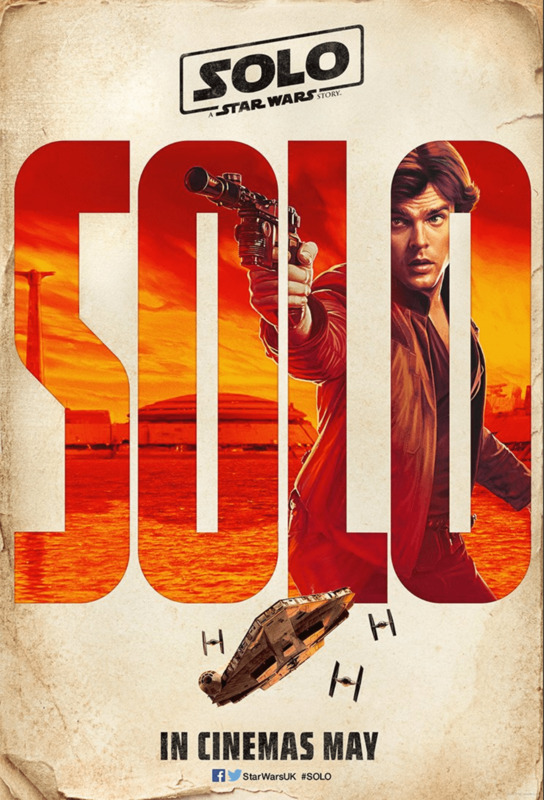 Released on 25th May Solo A Star Wars Story has been granted a 12A certificate in the UK by the BBFC. 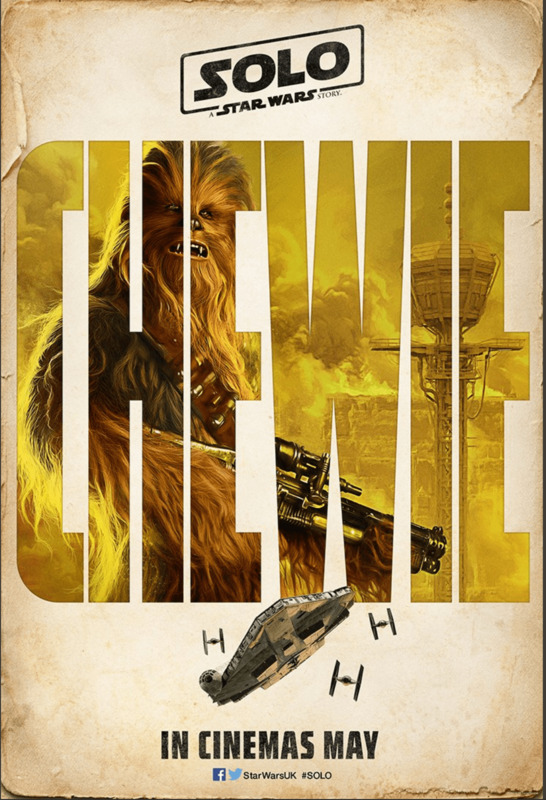 Given for moderate violence the film is the story of a young Han Solo from the Star Wars saga showing how he met Chewbacca and got the Millennium Falcon. This is the second film from the long running series set outside the main saga and early word on the film is good after a very troubled production. 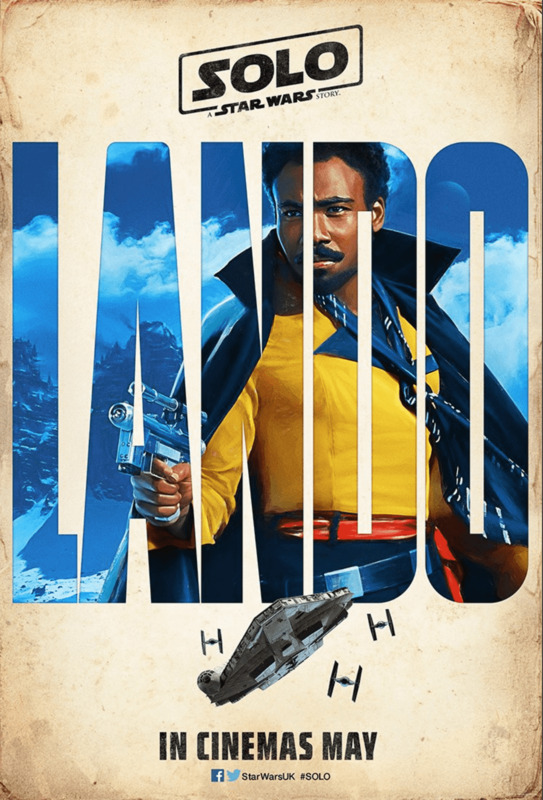 In a flood of Solo: A Star Wars Story goodies released today, along with the trailer are these 4 new character posters. 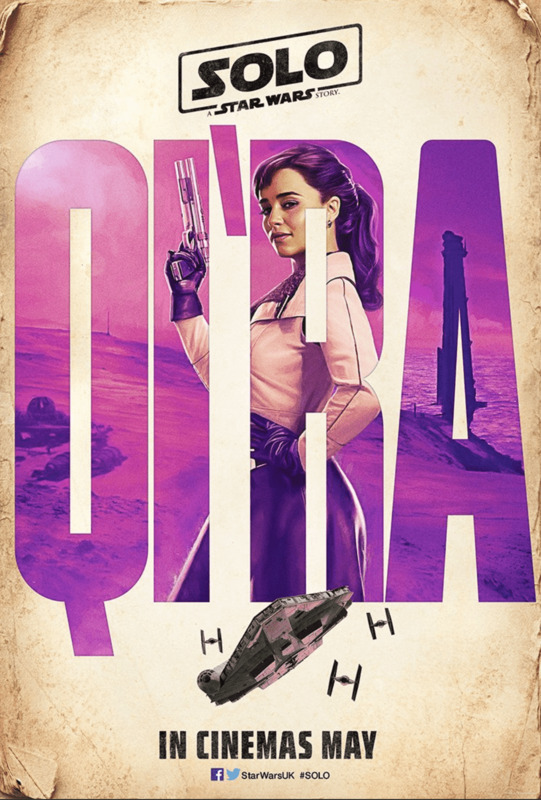 Featuring Solo, Chewie, Lando and new character Qi'ra they have an excellent Star Wars 70's look to them that fit the original trilogy look and feel. 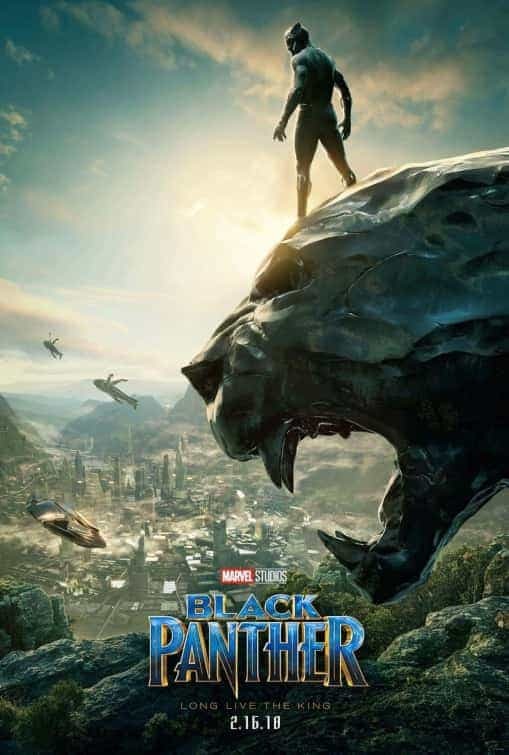 The trailer has us wondering but these posters are getting us excited for the new film, check them out below and let us know what you think.